David Smith’s hands shake when he speaks, they shake when he tries to eat, and when the rest of him is standing still. Parkinson’s leaves the 46-year-old from Georgia helpless to control his tremors. Except, that is, when David shoots. 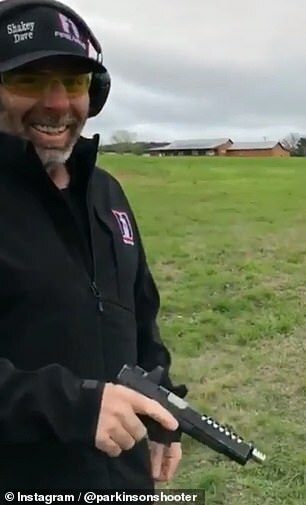 In the many videos David shares to his Instagram, his violent tremors slowly subside as he raises a gun, takes a few deep breaths and pulls the trigger. He’s remarkably accurate, and instead of keeping David from his favorite sport, Parkinson’s has inspired David to turn professional, he told Fox. It’s not just good for his collection of prizes. Practicing shooting eight hours a day, seven days a week may actually be encouraging David’s brain to form new connections, one of the few ways patients can combat Parkinson’s symptoms. Eight years ago, David was 38, working in the scrap metal industry, enjoying his shooting hobby and in peak physical shape, except for one finger. That one finger would shake when the rest of him was still. None of his strength training could make the twitching stop, and the restless finger started to nag at David. Finally, he saw his doctor and explained the twitch. It wasn’t long before the diagnosis was confirmed: David had Parkinson’s. The knowledge that he was living with an incurable and debilitating disease at at David’s morale. Eventually, David ended up in a wheelchair. Once strong and active, he felt he was deteriorating. Friends and family thought that was okay, that the rest would be good for him, but David couldn’t stand languishing. He missed shooting. He missed his life. So David got back to it. Instead of shooting a few times a month, he started shooting every day. ‘The disease had taken away everything from me in terms of my ability to eat and drink or do anything without help,’ he told Fox. ‘Shooting was all I had left, it was all I could do. And the effect was incredible. As he puts on his safety goggles and loads a gun, David’s hands and arms seem to be fighting him. It’s nerve-wracking, watching the disease’s erratic movements jostle bullets around. But once the gun is loaded and David goes through the paces of preparing to shoot, the tremors become less dramatic. 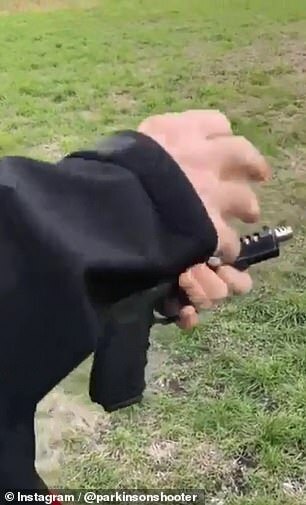 If he’s shooting a handgun with just his dominant right hand, you can see the left arm continue to shake while the right steadies. By the time David pulls the trigger, his hand and the gun are steady and locked into sync. 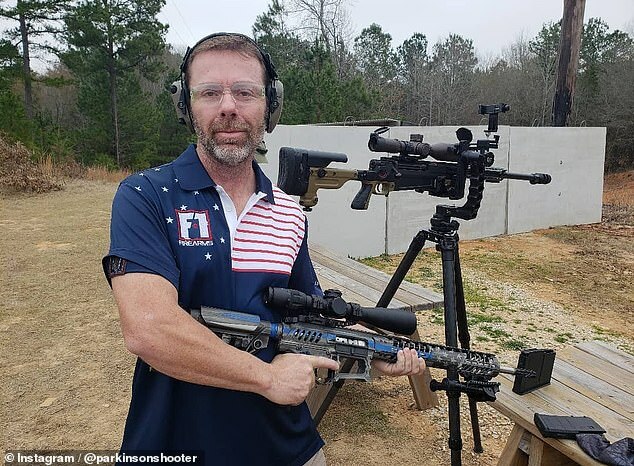 And by coupling shooting with agility training, David has climbed to a solid position in the professional competitive shooting world and, he says, been able to get better control of his Parkinson’s symptoms. David has dubbed his now-daily regimen ‘gun therapy’ for Parkinson’s. It’s certainly not a prescribed treatment for the disease, but science provides some pretty strong evidence for why ‘gun therapy’ just might work. Some scientists have hailed exercise as the ‘new medicine’ for Parkinson’s. But it’s not just physical activity that’s helpful, it’s particular kinds of movements that encourage better motor control and better neuroplasticity. Neuroplasticity refers to the brain’s ability to form new connections and neural pathways. Brain connections get damaged and weakened in people with Parkinson’s disease because they lose much of a neurotransmitter called dopamine that allows the parts of the brain that control cognitive and automatic actions, respectively, to talk to one another. To retrain themselves to do things like walk as they once did, Parkinson’s patients benefit from goal-oriented exercise that forces them to focus on controlling their movements. And the more coordination, calm and balance involved, the better. Tai chi, dance and boxing – the personal favorite of actor and Parkinson’s sufferer, Alan Alda – have all been shown to be beneficial to Parkinson’s patients. When David shoots, his brain is doing the same kind of work: giving him a surge of dopamine that helps form and solidfying new pathways and training stillness and control into his body. 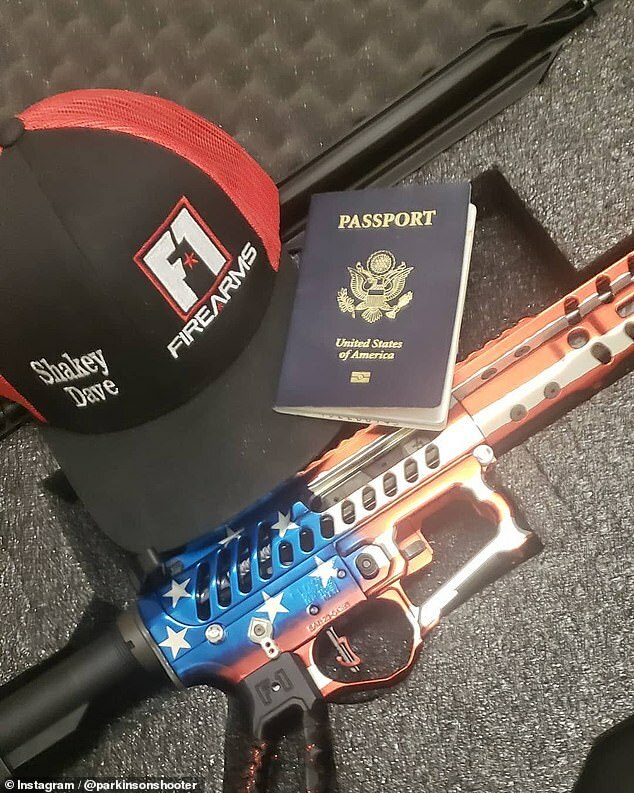 Shooting has given David an edge over his disease, and having something more to shoot for has kept David training tirelessly, earning him a spot in the prestigious 2019 World Rifle Shoot competition in Sweden.